Coventry Health Care, Inc Corporate Office in Bethesda MD is an organisation offering health care services and provides Medicare and Medicaid. It is a national managed healthcare company having roots in Bethesda, Maryland. It offers services in terms of full range of risk and fee based managed care products and services including the likes of HMO, PPO, POS, Medicare Advantage, Medicare Prescription Drug Plans, Compensation and Network Rental to government funded groups and agencies and to the employees in 50 states and also in the districts of Columbia and Puerto Rico. There are currently 1 consumer reviews about Coventry Health Care, Inc available. Share your review. this has been the worst experience i have ever had with trying to deal with a issue. if anybody actually does read this stay far away. go somewhere else. Please take a note that you are about to post a public review about Coventry Health Care, Inc corporate office on CorporateOffice.com. This review will be public, so please do not post any of your personal information on this website. 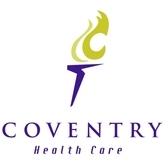 If you would like to contact the corporate offices of Coventry Health Care, Inc, please use their contact information such as their phone number, website, and address listed above to contact them. However, sometimes staff from Coventry Health Care, Inc headquarters do read the reviews on this website.